My passion for Queen music started when I was a child, and when my father bought me the “Gretest Hits” album. My father was crazy about their music and I knew almost nothing about them. The Queen was not very famous in Italy in that time. It was then (1984) when the first music video started to appear on local TV. An Italian Comic Show “Mai dire TV” (“Never say TV”) used to use the second part of the Bohemian Rhapsody in its opening credits, and soon one could hear “mamma mia, mamma mia, mamma mia let me go… Beelzebub has a devil put aside for me, for me, for meeeeee” through the opened windows of all the houses around! So this is when my passion started and it is still alive through all these years. 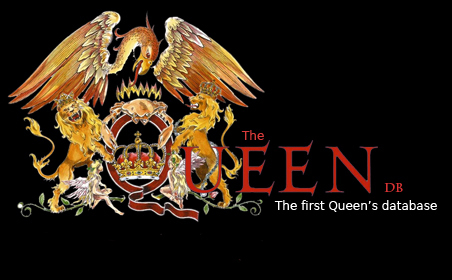 In the fantastic world of Queen Collectors I found a lot of sites dedicated to the group and their music, but not a single site is dedicated to the collectors and their passions. So – as Freddie says – now I am here - to share with you my own experience and to learn from you as much as possible. Your help and advises will be very much appreciated in order to improve this web-site and to create a group of good friends sharing the same passion. Please let me know everything you like or dislike in my work, I’ll be there to consider all your words.